The Secret Sun: AstroGnostic: Trapped Here on this Alien World-UPDATED!!! AstroGnostic: Trapped Here on this Alien World-UPDATED!!! NOTE: Scroll to bottom of post for important update. Well, here we are- it's Twilight time again. The Gnostic vampire-superhero phenomenon is about to descend on multiplexes all across the planet, enrapturing tween girls in ways not seen since the glory days of N'Sync and the Backstreet Boys. And most significantly for our purposes, Twilight creator Stephanie Meyer is a Mormon- a member of the Church of Latter-Day Saints- and the Twilight books are widely seen as Mormon allegories. Amie Charney (a Christian blogger) detailed the links, darkly warning that those dastardly Mormons "believe in deification – you can become a god or goddess through their various rituals and practices," preach a doctrine "called “eternal progression...where it is a core belief for even a god or goddess to learn (progress) for eternity," that Mormon is "all about the family" (horrors!) and worst of all, "a man and a woman make covenants to God and to each other and are sealed as husband and wife for time and all eternity." Wait- I'm missing the exact problem here. Someone once said, "By their fruits shall ye know them." Hmmm, that ring a bell with anyone? Not to pick on my Bible Belt cousins, but simply a suggestion to the Amie Charney's of the world that perhaps those Mormons aren't quite as dastardly as their foes would have us believe. Mormonism also has its fair share of academic admirers, including esteemed Yale professor Harold Bloom, who considers it a bonafide American Gnosticism. * Speaking of which, there was an excellent article in the old Gnosis magazine that details Joseph Smith's Hermetic influences as well. And for better or worse (depending on your political affiliation), the most influential political personality in America right now is himself a Mormon. All of that is all fine and good (if not confusing), but outside the Secret Sun mandate. No, what fascinates me is that Mormonism has produced more than its fair share of authors, particularly of the sci-fi/fantasy genre. Not surprising for a religion that many people accuse of being science fiction. Meyer is at the top of the list, followed by Orson Scott Card, Battlestar Galactica creator Glen A. Larson, and animator Don Bluth and many, many others. Sci-fi seems to be a particular passion of Mormons. One of those Mormon authors is Zenna Henderson, who wrote explicitly AstroGnostic fiction in her "People" series of novels, which many see as Mormon allegory as well. In the stories, the People are aliens who leave their dying homeworld and escape to Earth. They try to integrate with the local population but receive the usual Earthling response given to higher beings- they were slaughtered. Fleeing, the People settle in a remote corner of the Southwest where they suppress their superior abilities and their memories of their homeworld. One interesting aspect about the People stories is the strong degree to which very different groups of people identify with it: Christians (including such different camps as Evangelicals, Catholics and Latter-day Saints), GLBT, Wiccans, and Jews have all recommended Henderson's People stories. The stories, with their exclusivity and isolation from the broader culture combined with extreme inclusivity and compassion for one's own tribe, have struck a chord with many people who feel pulled by two different worlds. The People was made into a TV movie in 1972. The first thing I did as soon as Morgan mentioned it was look it up on YouTube and the second thing I did was order a VHS copy of it online. Next con I attend I'll be picking up the DVD if it's been bootlegged. 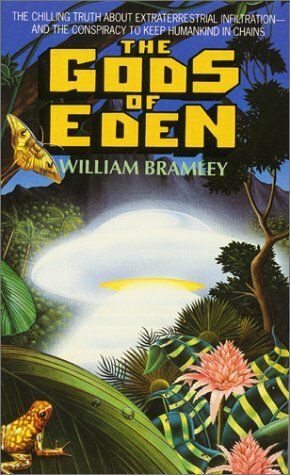 The scene above tells the People's AstroGnostic creation myth in pictures, reminiscent again of Witch Mountain, but also of The Man Who Fell to Earth, another AstroGnostic classic. An outside schoolteacher (played by Kim Darby, who we'll get to in a moment) forces the children to recover their memories of their alien world, like the Gnostic Sophia herself. 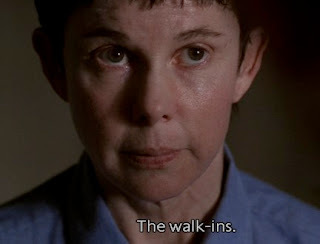 Of course, Darby must then show up in the Ten Thirteen Universe, which she does quite dutifully as Kathy Lee Tencate, the Gnostic martyr who plays the role of Hecate (coming from the Greek root word for "a hundred") in the X-Files Eleusinian drama. Tencate teaches Mulder about the "walk-ins"- the core spiritual aspect of the Mythology- who protect endangered children by transforming their spirits into starlight (speaking of light- check out some of the other clips on YouTube- I love the way the Sun is shot in films from that era). Some critics dispute the accuracy of Joseph Smith’s stories, pointing out that Smith did not record his first vision on paper until nineteen years after it had happened. Under the circumstances at the time, this delay is understandable when we consider Joseph’s youth and minimal education. To the degree Smith’s accounts are accurate, they are worth looking at. Did he have a true religious vision as his followers believe, or was he, as others suggest, a victim of UFO tampering? ... Joseph appears to have been looking at a recorded image projected through the window into his room. The clue to this lies in Joseph’s words that Moroni had repeated the second message “without the least variation.” This suggests a recorded message...When Moroni returned for a third time that same night, Smith, “heard him rehearse or repeat over again . .. the same things—as before....” (Joseph Smith 2:48-49). Other Mormon writings also tend to support the likelihood that Joseph Smith had had a UFO encounter. The Mormon doctrines revealed by Smith state that there are many inhabited planets in the universe. This was quite a daring idea for an uneducated man of the nineteenth century. Smith added that God inhabits a human flesh-and-bones body (see, e.g., Doctrines and Covenants 130:22) and that God lives near a star called Kolob (see Abraham 3:1-3). In other words, God is a humanlike extraterrestrial living on another planet. The dates extrapolated from the Book of Mormon for the arrival of the Palestinians to America are especially interesting because they coincide with the dates that historians have assigned to the emergence of the ancient civilizations of Mexico and Central America. Now, again- massive caveats here. But there is this fascinating history of these kinds of encounters, just as flying saucer sightings have been recorded since writing began. And Bramley hits on a very important point- how this pyramid building craze died down in the eastern hemisphere only to reappear in the western one not long after. This brings us to the Graham Hancock/Robert Bauval milieu as well. All grist for a future mill. In essence, though, Mormonism is telling the same basic story all the major religions are. Gods and angels in space, direct intervention in human affairs in antiquity, wrath, return, etc. 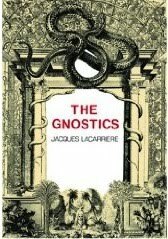 The Gnostics did too- in a way- but throughout history Gnostics were slaughtered for the belief that mankind is not native to this world and was trapped here through an arcane series of cosmic machinations. That this world is a prison ruled by an insane "blind idiot god" and a mysterious race of demigods called the Archons (or Cylons, or Igigi, if you prefer) keep us trapped here. Ancient Gnostics didn't quite understand the mechanics of it all (their literature is extremely confusing, at least to me), they only knew they wanted to get the hell out. For my money, Gnosticism doesn't make a tremendous amount of sense until you plug Intervention Theory into the equation. Then it all falls into place like a million puzzle pieces right before your eyes. In this light, Gnosticism isn't so much a creed than a methodology- and the details of the cosmology change as new knowledge is attained. Hence their feeling of having fallen onto our earth like inhabitants from a distant planet, of having strayed into the wrong galaxy, and their longing to regain their true cosmic homeland, the luminous hyper-world that shimmers beyond the great nocturnal barrier. Their uprooting is not merely geographical but planetary. And to treat them as aliens in the political or civic sense - which is what happened - could be nothing but an absurd misunderstanding, like giving a Martian a temporary residence visa. The Gnostics must have felt this exile even more acutely in that they themselves constituted marginal communities, strangers or ‘foreigners' in the narrow sense of the term, in the heart of a whole humanity of foreigners. ...Here there was an historical humus which justified the Gnostic feeling of exile, of being a planetary foreigner: `I am in the world but not of the world' is the most basic Gnostic formula. Damn. Add this all up and you're left staring at history's first flying saucer cult. What put of all these ideas in their heads in the first place is another matter, but it's not as if we don't have liturgies from other ancient traditions showing us encounters with strange godmen in flying disks, right? Sure, it could all be a mythology. In fact, let's just say that it is for now. But boy, it sure is fascinating to see echoes of it (at the very least) emanating from what is a rock-ribbed, diehard conservative institution. Or how popular these themes of superior beings stranded in a primitive or hostile world are when packaged as entertainment. Like, oh, say, Twilight. Certainly somewhat less so is Titan AE, or Battlestar Galactica or Enders's Game, but fascinating nonetheless. BONUS FACTOID: Joseph Smith was born in Sharon, VT, obviously settled from folks from my hometown since there's a Randolph and a Braintree right up Interstate 89. †According to a recent survey, the Bible Belt is a mirror image of the Muslim world, when it comes to religious conviction (and paranoia, certainly). *Bloom writes: "The God of Joseph Smith is a daring revival of the God of some of the Kabbalists and Gnostics, prophetic sages who, like Smith himself, asserted that they had returned to the true religion....Mormonism is a purely American Gnosis, for which Joseph Smith was and is a far more crucial figure than Jesus could be. Smith is not just 'a' prophet, another prophet, but he is the essential prophet of these latter days, leading into the end time, whenever it comes."